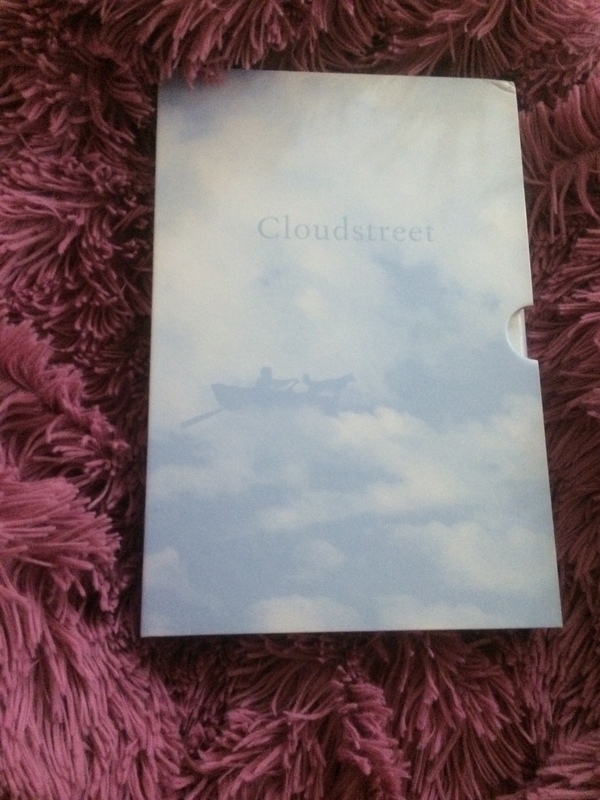 Cloudstreet is considered a classical Australian novel. It highlights a particular period of time in Australia’s history ( from almost the end of WWII to the early sixties). It is a story of a family saga of two working-class Australian families (The Lambs & The Pickles) whose life intermingled when they live in the same house. The first thing catches my attention, besides the abundant Biblical allusions، the use of magic realism! Winton waves the magic realistic incidents into the story as part of Australians’ daily life. My master’s thesis was tackling this genre, so I found myself unconsciously related to the novel. Reading this novel is like watching a movie as it concentrates on the action more than on the dialogue. I didn’t find the storyline particularly compelling. I believe it lacks the depth of both characters and dialogue, as I referred earlier. The few magic realistic occurrences throughout the novel were one of the few things that kept me engaged in reading this novel. Another thing is the depiction of the Lambs’ struggle. Winton portrays their struggle with life after the sad accident that happened to their son in an astonishing way. He was able to capture the suffering of the mother, her attempt to keep her family intact, the family’s blocking of their feelings in favor of practicability. I liked that the novel is divided into short sections, each is narrated from the point view of one character. As the novel progresses, the character gets older and thus their points of view change which makes the use of these short sections incredibly remarkable. Also the use of Aussie words throughout the novel. Overall, I enjoyed the reading the book.